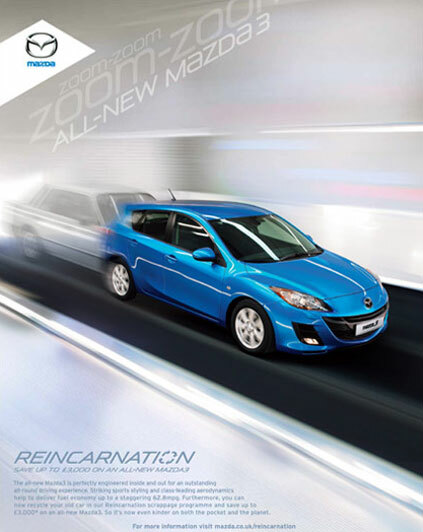 Our client wanted to promote a new scrappage scheme for their all new Mazda 2. They wanted visually striking adverts that would quickly convey this message. They did this by having ghost car images morphing into the current new cars, suggesting the ‘reincarnation’ of your old model.